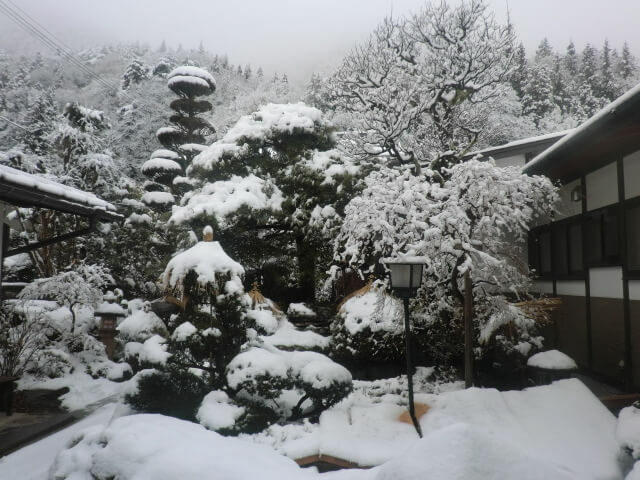 Kiso Valley, surrounded by the beautiful mountains of central Japan, enchants visitors throughout the four seasons of the year. 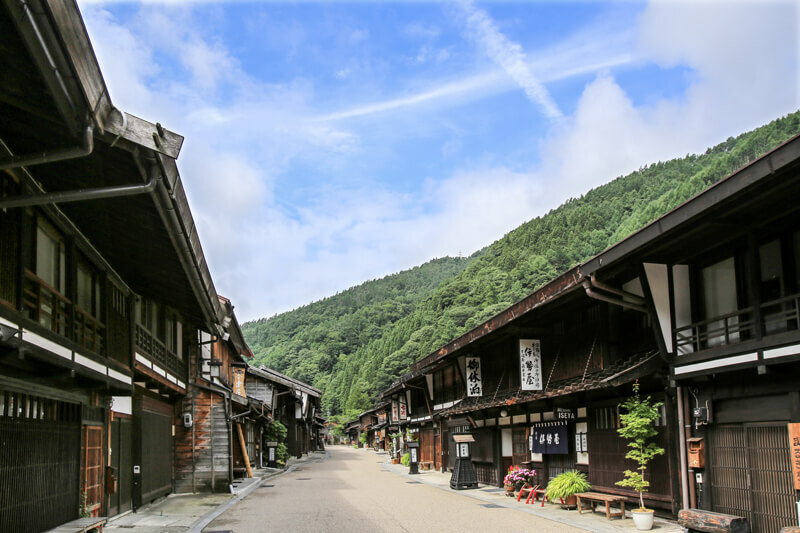 Enjoy wandering through Narai-juku where you can still feel the nostalgia of old Japan. 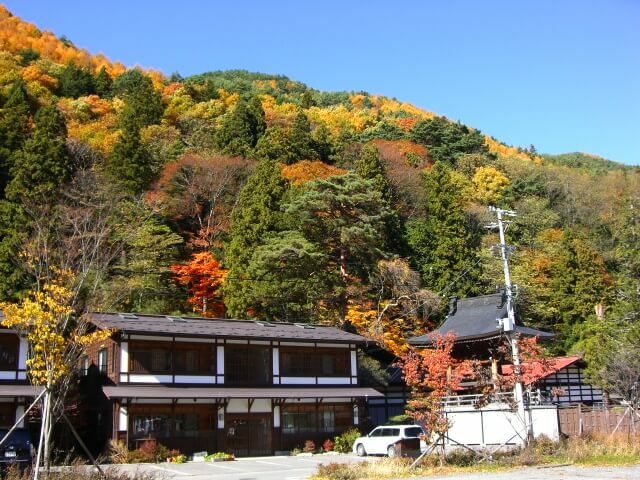 At Iseya, relax in the breathtaking atmosphere rich in history. 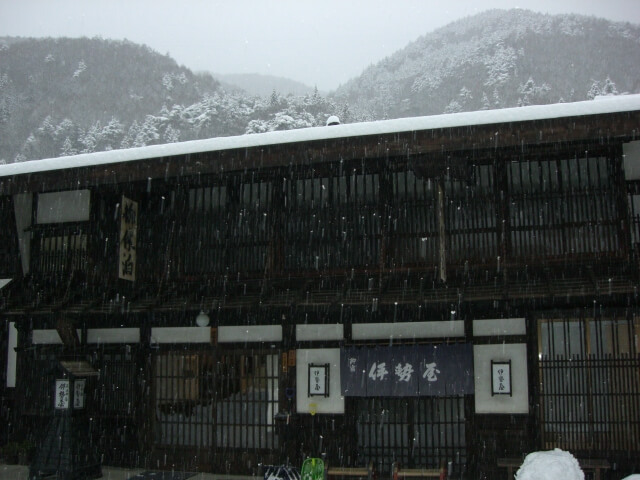 The traditional inn Iseya was founded in 1818 (the late Edo era) as a small wholesale store. 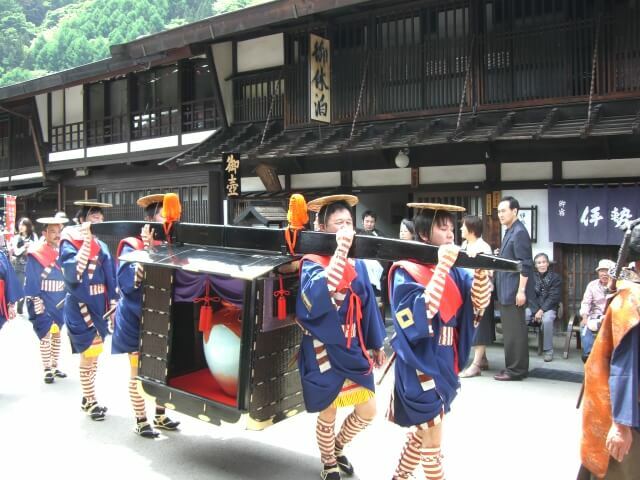 They still carry the feeling of the late Edo period, allowing you to see the representative architectural style of Narai-juku. Guestrooms will make you feel as if you have travelled back in the good old days. 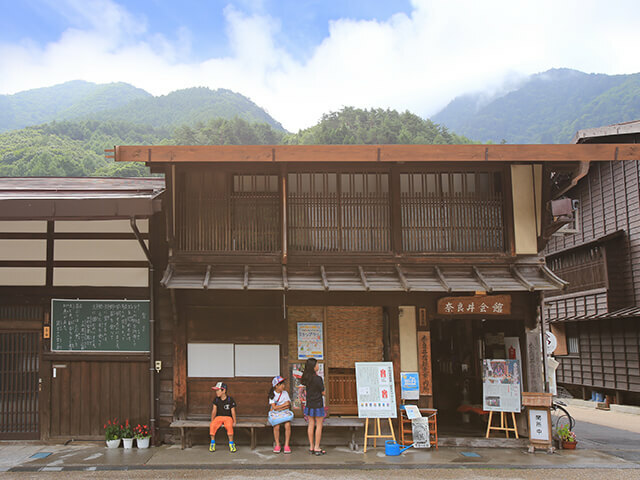 Along senbon-koshi windows, you can imagine vividly as if travelers smiled happily with round wooden lunch boxes or people walked along the street with their mouths full of miso-taste gohei rice cakes. 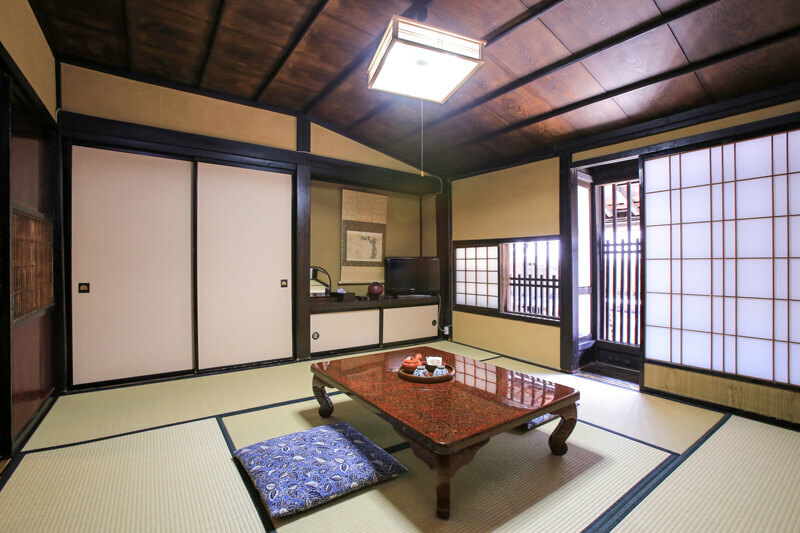 The Japanese style rooms still retain the atmosphere when they were originally constructed. 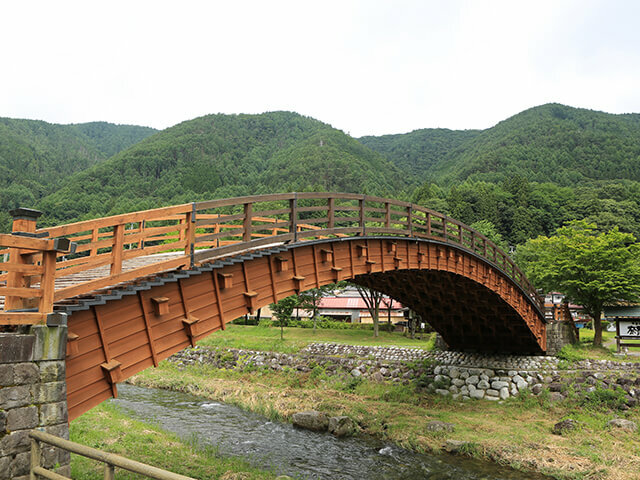 Through lattice windows, you can get a feel for the Nakasendo. 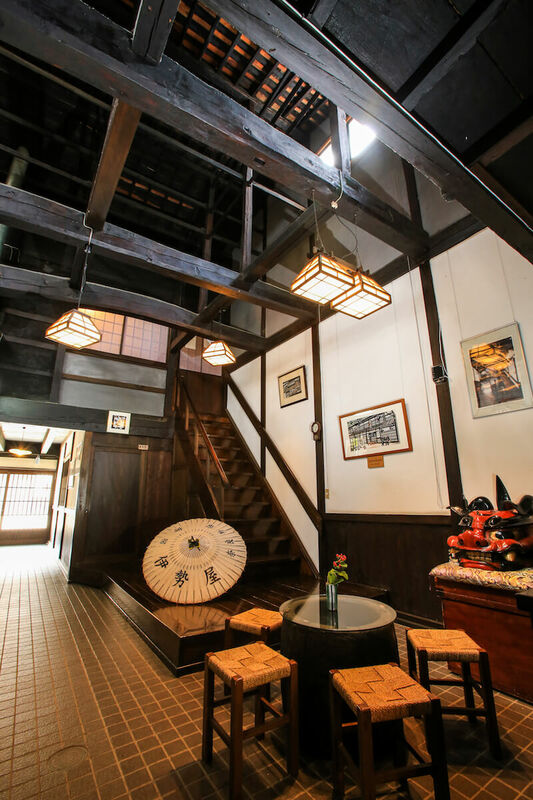 These rooms were built more than 200 years ago. Careful attention is paid to keep these rooms cozy so that guests can stay comfortably. 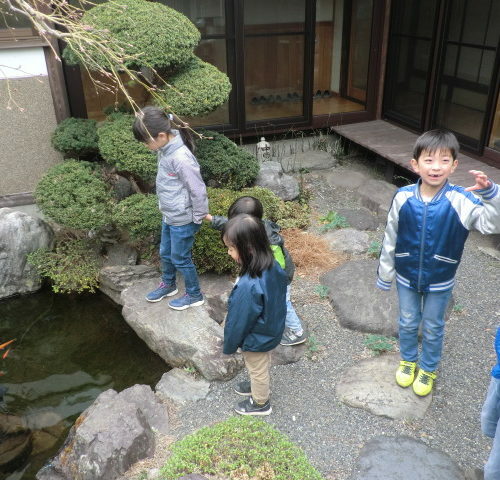 A short walk through a courtyard brings you to the annex. 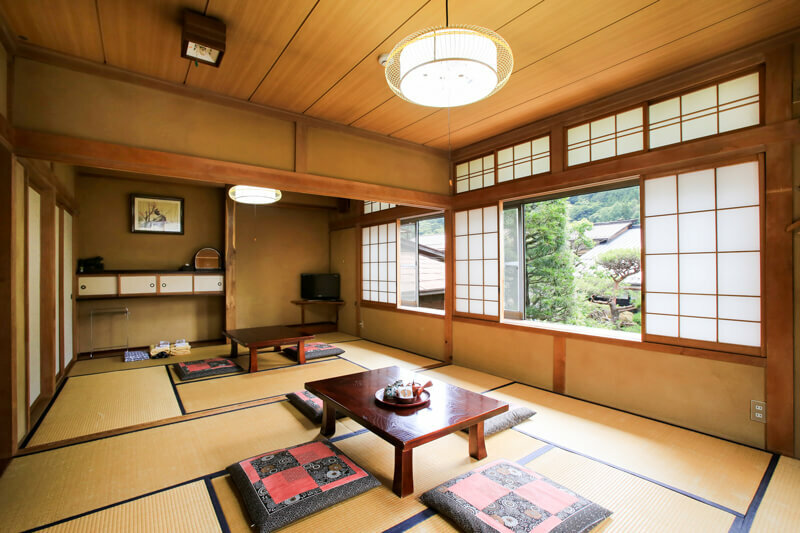 You can relax comfortably in a bright, Japanese space. 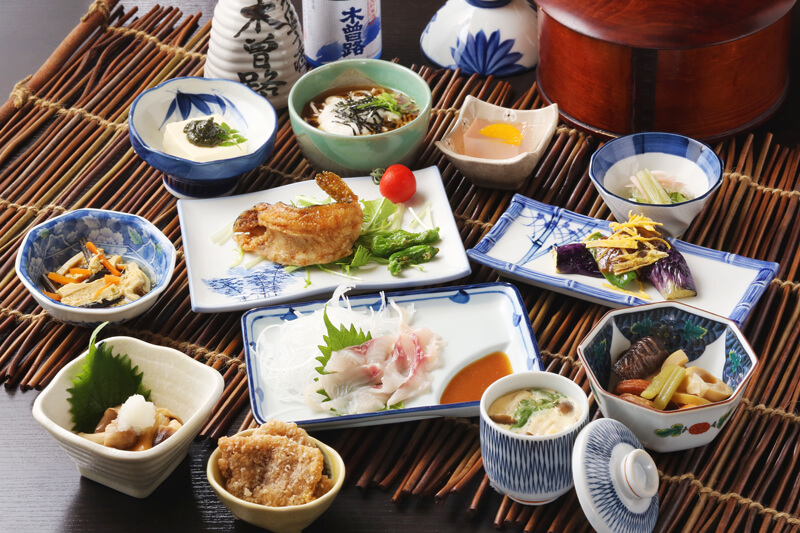 You can enjoy flavorful and nutritious food from mountains in the Kiso area, including mountain vegetables in spring and mushrooms in autumn, and freshwater fish cuisine. 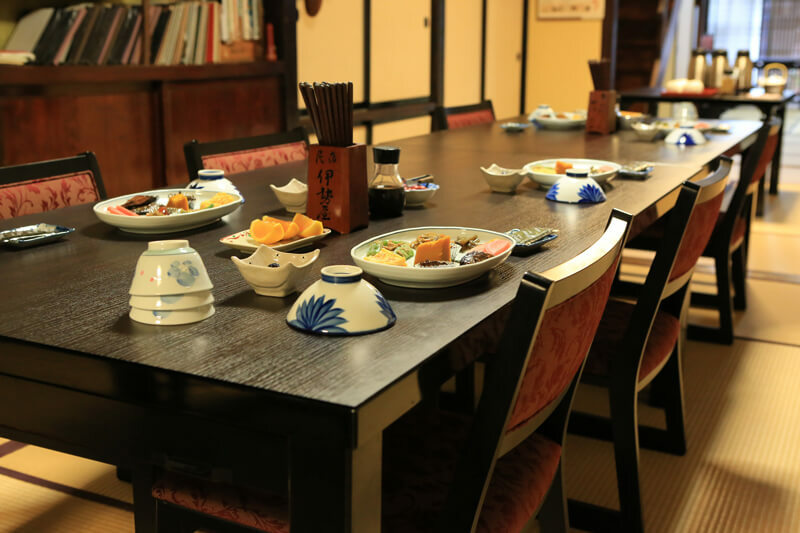 Meals are served in a Japanese room in the main building. 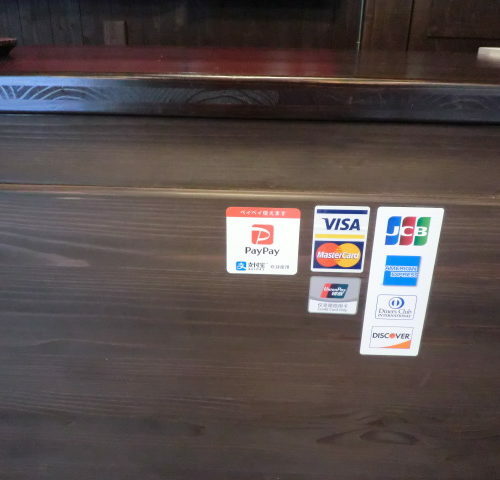 * Shampoo, conditioner, body soap and hairdryer are equipped in a bathroom and a restroom. 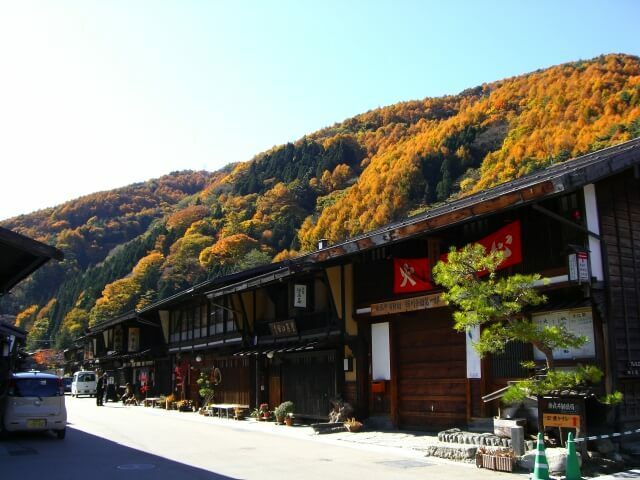 Narai-juku is almost exactly halfway between Tokyo and Kyoto and marks the 34th post station from both places. 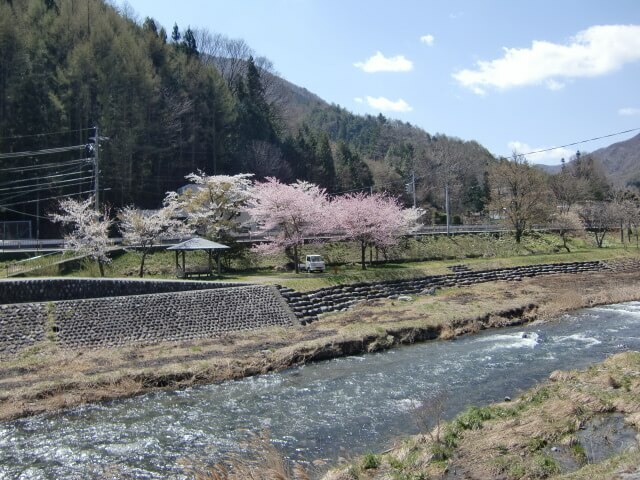 The area extends about 1km along the Narai River and is the longest post station in Japan. 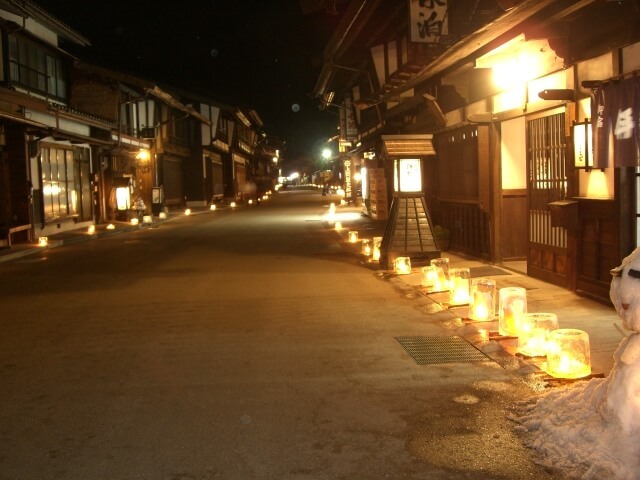 It still retains the atmosphere of the historic Edo era very much, attracting tourists to a nostalgic world. 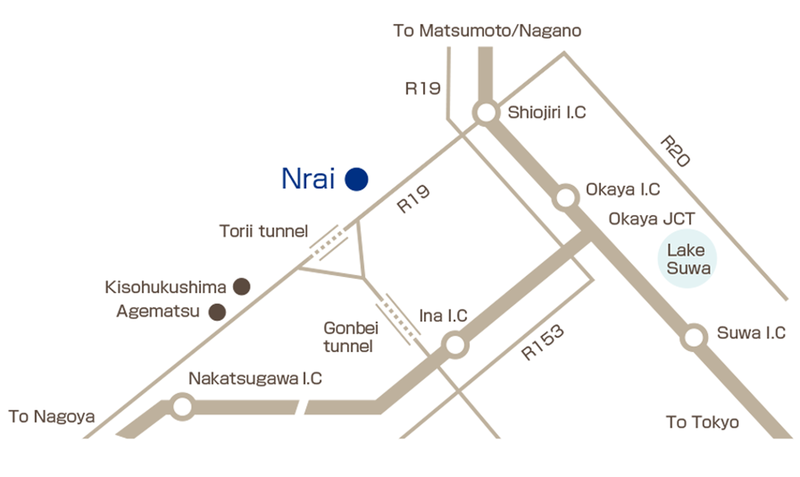 There is a Local Traffic Only sign at the entrance of Narai-juku. 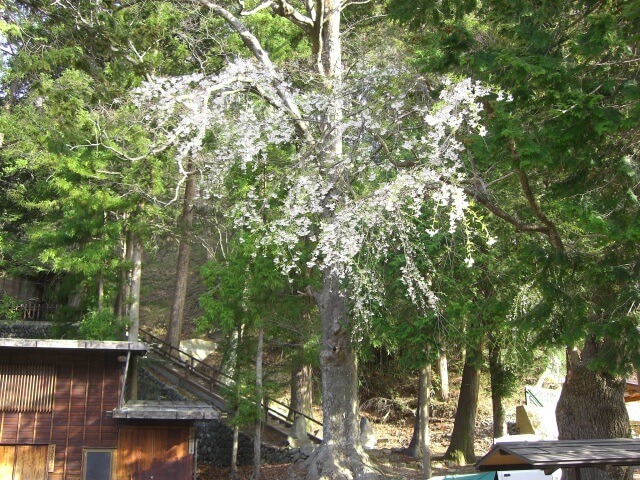 However, our guests move along to the back side of our inn and park your cars in a free parking space (for 10 cars).